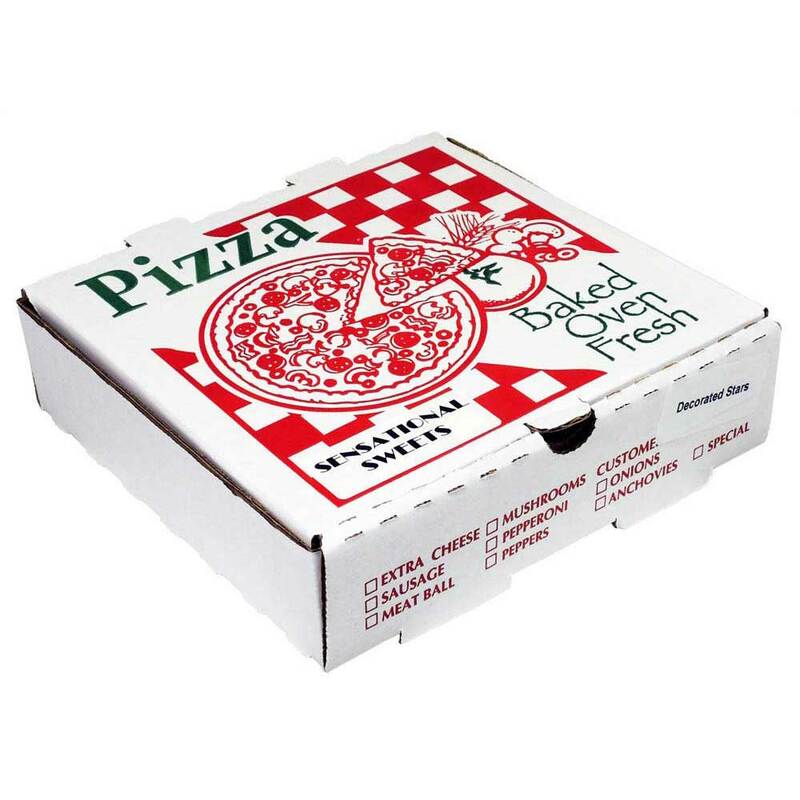 This Pizza Is A Real Treat; And Traditions Delivers! 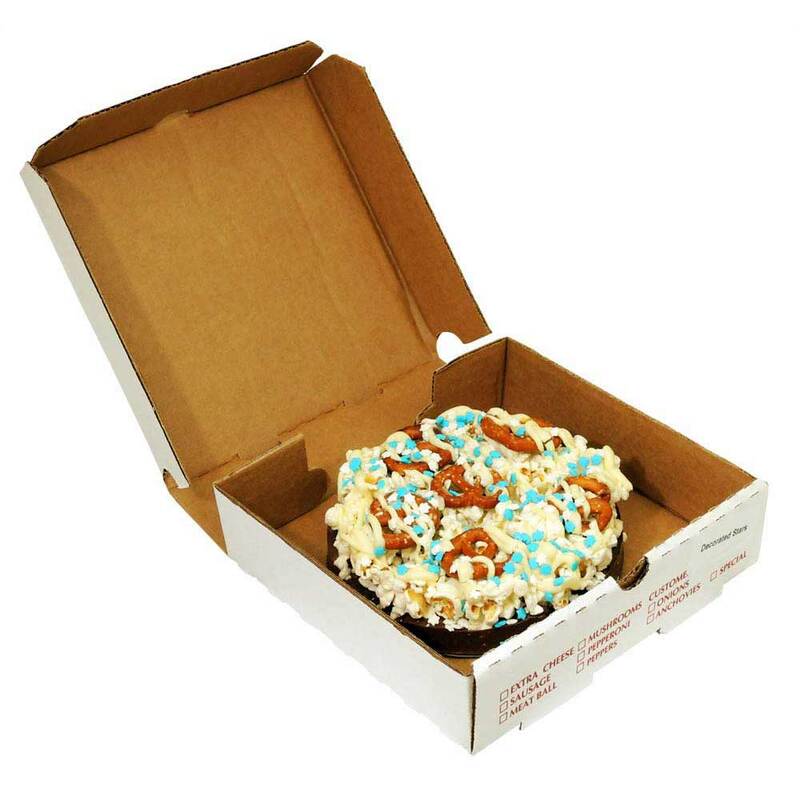 This Delicious Dessert Comes Delivered In A Pizza Box Which Is Certain To Put A Smile On The Recipient's Face! The Dessert Has An Airy Milk Chocolate Base—Flecks Of Popcorn Embedded Within It—With Popcorn "Crust" Piled Atop It. 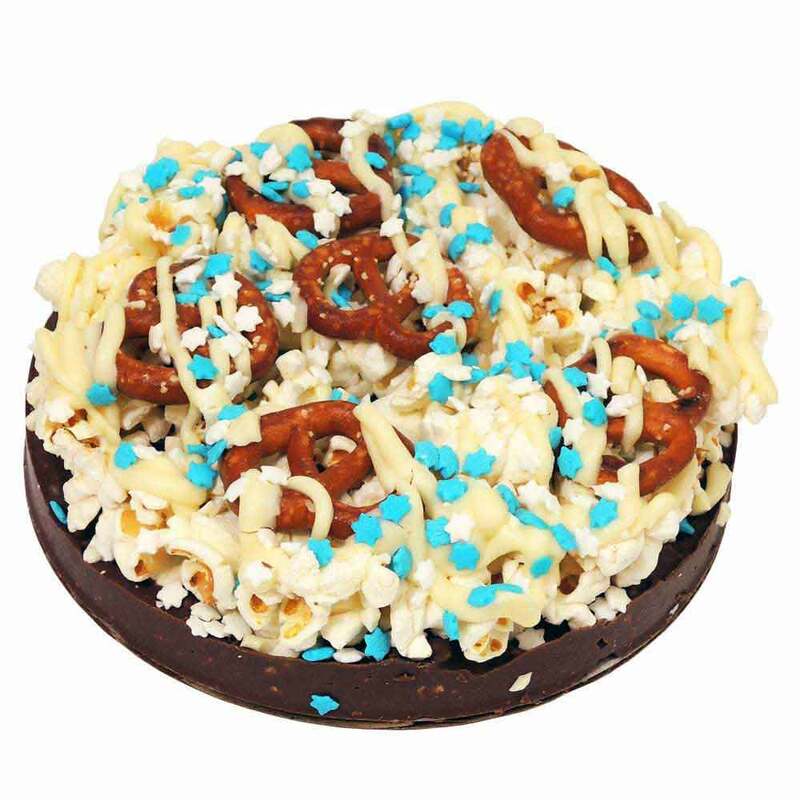 White Chocolate Is Drizzled Over The Popcorn And Pretzel Toppings; Blue Jewish Star Candy Confetti Bring This Tasty Treat Together! 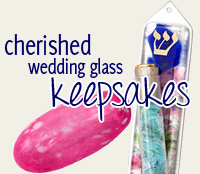 This Salty, Sweet Treat Is Sure To Make The Perfect Gift Or Hanukkah Delight! This 6" Round Dessert Is Certified Kosher Dairy, And Made In A Nut Free Facility. 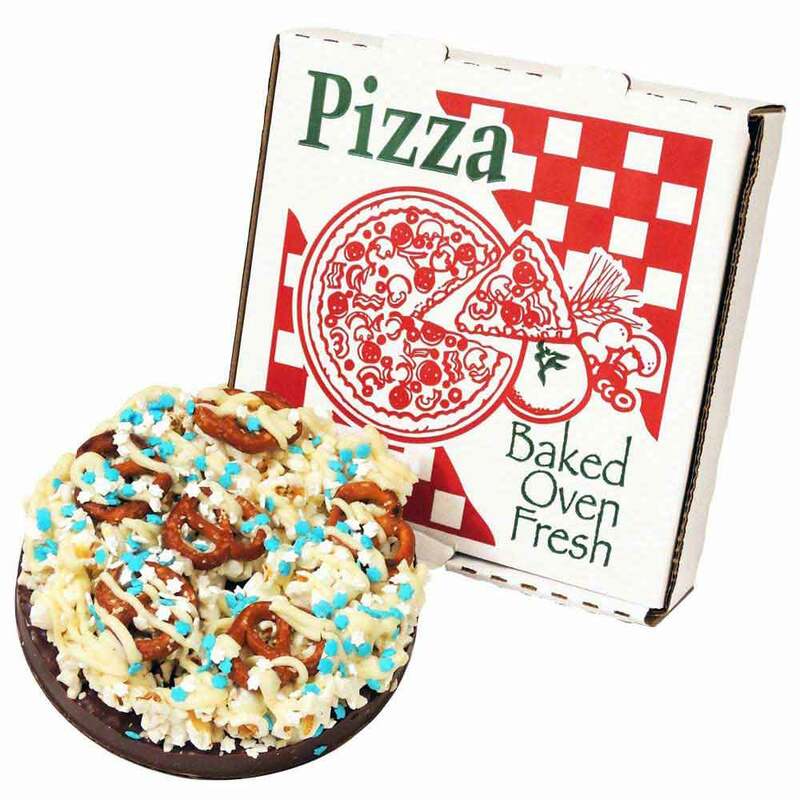 Mini Decorated Pizza Pie May Contain: Yellow Popcorn, Coconut Oil, Salt, Pretzel (Wheat Flour, Malt, Salt, Pure Soybean Oil, Vegetable Fiber, Yeast, Soda), Sugar, Cocoa Powder, Cocoa Powder Processed With Alkali, Partially Hydrogenated Palm Kernel Oil, Nonfat Dry Milk Solids, Whole Milk Solids, Soy Lecithin (And Emulsifier), Vanillin, Natural And Artificial Flavor. Red 40, Yellow 5&6, Blue 1, Reg. PA Dept. of Ag. As With All Popcorn Products, May Contain Kernals.